Research states that microwaves are beloved for its speed and ease to use. How many times have you opted to use the microwave in lieu of the oven? Have you ever warmed up leftovers from your favorite restaurant (in the microwave) and realized it just doesn’t taste the same? That same feeling is how I have felt about my spiritual journey these last three years. I have been the perfect checklist Christian: I have read my daily devotionals, I have attended church every Sunday, joined a small group, I have declared my desires to God, I gave up what I thought was holding me back (we will talk about Ray Ray later), I have volunteered with the homeless, I have prayed and still felt like something just doesn’t feel right. As I prepared to attend Woman Thou Art Loosed-Master Class I came with expectancy. I came to WTAL expecting God to confirm and reaffirm the desires of MY HEART and let me know that the wait is over. I mean I wanted the simple things like to bump into my husband at dinner, to be healed of generational curses, and maybe just maybe pray away these student loans. Boy did God have a different agenda, during the opening session Bishop T.D. Jakes spoke of the Incubation Process. Incubation is defined as an enclosed apparatus providing a controlled environment for the care and protection of premature or unusually small babies. In American culture incubation is frowned upon, we want microwave quick speed in all aspects. The dangerous thing with microwaves is food can look ready on the outside but be uncooked on the inside. The same applies to us, we can be big on the outside but not fully developed on the inside. 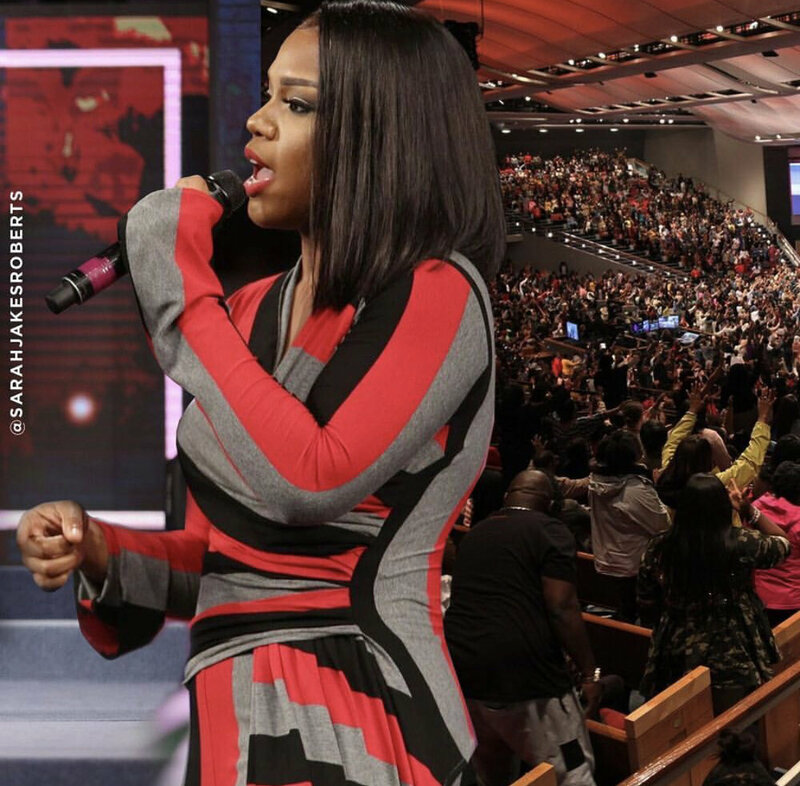 Bishop Jakes revealed that God is calling some of us to a season of incubation. During this season of incubation God is calling us to exam our atmosphere, we will resemble what you are around. Whatever gets inside of us will incubate. An incubator has to be careful what they: eat, listen to, and who they hang out with because whatever is inside of you will incubate and produce. As we begin to determine our goals and visions we must remember that if a baby has to incubate for nine months; during this time she gets sick, throws up and experiences unforgettable pain in delivery’ for the reward of her newborn our dreams are no different. We must be willing to experience all the pain that is a part of the promise. We must be willing to protect our “seeds”. A tree concealed can look like an acorn but a tree revealed is an oak tree. Pastor Cora Jakes Coleman spoke of the Pursuit of Power. Cora reminded us of the woman with the issue of blood and how she bleed for over 4000 days (12 years). Nothing could keep this women from seeking out the source for her healing. Her talk convicted me to truly seek after God in any situation, why go through life bleeding when we have access to the source. Statistically the woman with the issue of blood should have died. Imagine the faith it took to say I have to get to Him. This message confirmed everything we have been “bleeding about” is bleeding into a blessing. We must remember: even though I am bleeding something on the inside is stirring. This journey has taught me that I will go to God for one thing and walk away with something else. If we want to see God’s face we must take up the Posture of Prayer- we have to be willing to get LOW and dig DEEP. Maybe that is why we are not truly healed yet. Are you reaching low enough? Have you been walking by your condition or by your NAME? The lady with the issue of blood fastened to him, she connected to him. In this season we need to fasten to God. Connect to him in a way that we have never done before. Have you been grabbing for God in every situation? I do not want anything is it is not connected to God. I don’t want a job if God did not approve it, I don’t want a relationship if God is not in it. I have tried it on my own, I want it with God. Throughout this ongoing journey of pursuing an authentic relationship with Jesus I have used Pastor Sarah Jakes Roberts as a reference point not only as a spiritual leader but as a virtual best friend. So often I have felt that she was speaking directly to my soul, she was one of the speakers that I was excited to hear at WTAL Master Class. Not only was I able to hear her speak life into me through her panel discussion and her main stage presentation I was able to able to meet her in person. Pastor Sarah was just as kind and compassionate as I imagined. The way that she listened with intentionality, responded with grace and care gave me the confidence to push through to the plans that God whispers to me late at night. Pastor Sarah held me accountable when she said “some of your anxiety will go away if you get rid of Ray Ray”. 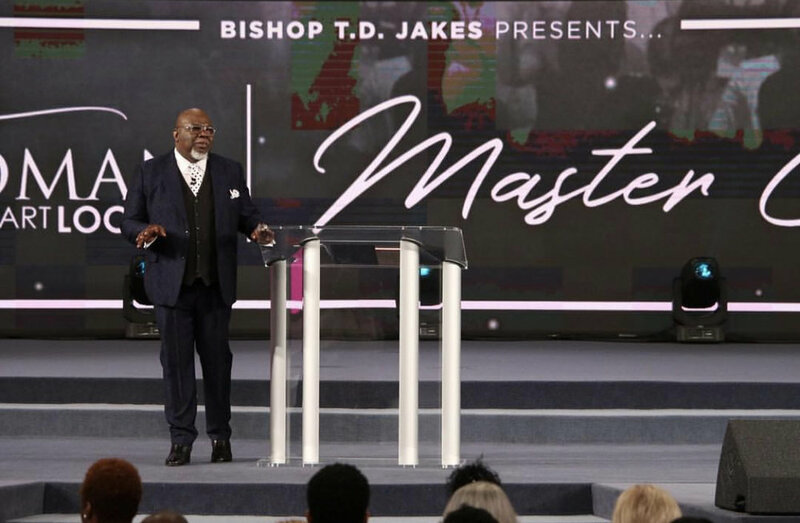 Bishop Jakes closed out Master Class with a subject of Scatter. I heard God tell me to scatter from everything that I know, everything that is comfortable, and everything that is familiar. We need to make room for what is about to happen, sometimes God does a “thing” that will change everything. You know the language of where you have been, you need to learn the language of where you are getting ready to go. You need to practice the language, you need to be around people using the language to get practice. The most powerful statement that he made was “your patterns are your prison”. The conviction of “my life is not changing because I am not changing” struck a chord because I take pride in the consistency and predictability of my life. IT’S TIME TO SCATTER. Doors were shut so that you would scatter. He reminded us to thank God for the people who rejected us. Their rejection was a blessing, with that pain it will push us to scatter. The most important reason it is time for us to scatter is because the enemy is waiting on you where YOU USE TO BE. Master Class has exposed me to the true meaning of Faith without Works is dead. I must be willing to not only have the faith to believe that God will provide but I must also be willing to do the work. I will make the sacrifices, read the books, wake up earlier and be intentional with my relationships. Once faith puts me in the room works will keep me there. It’s time to find out what God has called you to incubate. Take this journey with me as we spend the remainder of 2018 incubating. Being open to hear from God- He will make your “want to” want to do what God wants you to do. Let’s start standing with our yes and have the confidence to say no. If you are anything like me you have tried to do it on your own more times than you are willing to admit. Please know the old lady in you is depending on you, your (future) grandchildren are depending on you. While we are incubating let’s gain as much knowledge as we can. Read the book, take the class, move to that new place, and learn the language. What we learn during our incubation is what will set us apart. As we learned last year from Dr. Caroline Leaf it takes 42 days not only to break a cycle but to begin a new one. What will you do for the next 60 days? Will you incubate? During this time of incubation let’s heal ourselves. Stop ignoring your convictions, there is freedom in convictions. Let’s do the work to break generational curses, heal those wounds and take our minds back. Dr. Anita Phillips taught us that the presence of counseling is not the absence of faith. It’s hard either way, which side will you choose? We are worth it and we deserve it. You cannot expect someone to love you better than you love yourself. I will leave you with this thought: If you are trying to be anyone other than you, who will be you? Let’s do the work from the INSIDE OUT! The FitXBrit team was granted the opportunity to serve as a media partner for the 2018 Woman Thou Art Loosed Master Class in Dallas, Texas. All opinions, reviews, and interpretations are that of this site and its staff. All images can be found on the WTAL Instagram account.